Our large 17th century building is a great place to hold a party or event. The largest single space the Loft seats 55, the two upper floors Bistro and Loft can accommodate 120 between them. We have two fixed price party menus (or we can provide a short version of the Set menu, see below) Click here for menus. This applies all year except for a brief period before Christmas (more information). 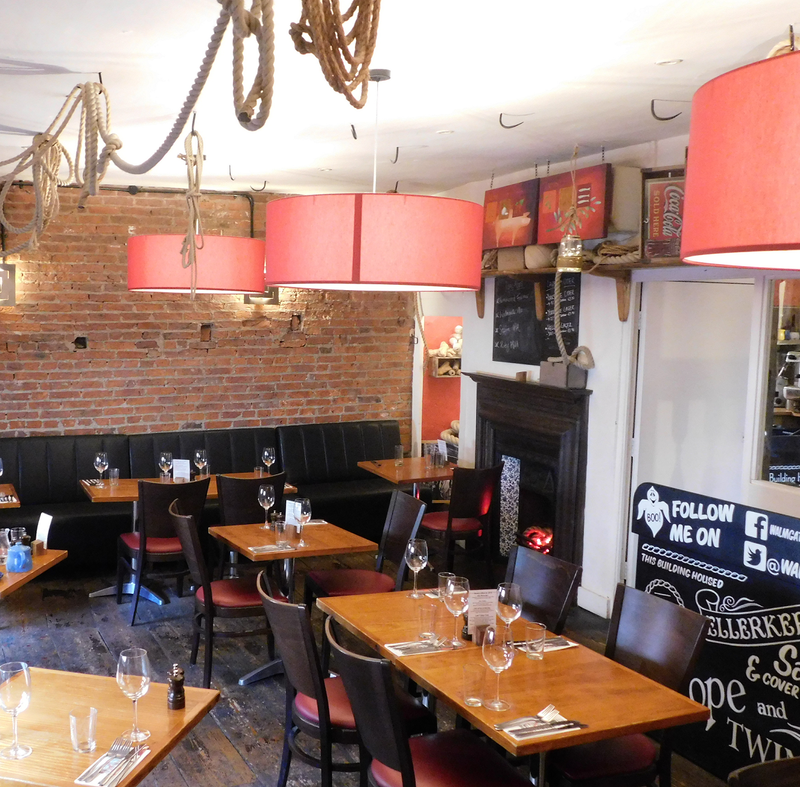 We can also accommodate drinks parties in the Snug, with or without Bar Snacks. We offer Beer Tastings to groups of up to 40 people. These start at £7.50 per person and food, snacks and drinks can be added. Email for more information and prices for different events. It is often simplest to email a party enquiry to us, that way we can ensure it is handled by a manager. Alternatively call 01904 629222. Please help us – read the information below before contacting us! DO I HAVE TO HAVE A PARTY MENU? : Groups of 20 or more need to select a party menu (or a short version of the Set menu) There’s a significant choice on each party menu and our expectation is that guests will order from it after they arrive at the restaurant. It’s the only way we can serve large numbers efficiently. ORDER IN ADVANCE? : No. We don’t need a pre-order, it usually doesn’t help. All you need to do is state which party menu you want us to present to your guests. CAN WE EAT FROM THE SET MENU? : Yes, after all it’s great value pub style menu. However because it’s too long to deliver for more than 20 people, we ask you to pick 5 main course options in advance. We will produce you a customised Set Menu to order from. We make an exception during the Christmas party season, when we only serve the Christmas party menu. CAPACITY: Our Loft is designed for large parties and can seat up to 55 people, this is the largest single space. The two upper floors Bistro and Loft can accommodate 120 between them. PRIVATE ROOM: Whilst we can often offer exclusive use of a room, this becomes problematic at times of high natural demand. At this sort of time we may ask for a room hire fee especially if you want us to seat a small party in a space that normally takes significantly more . DIETS: Our menus cater for most specific dietary requirements. So there is no need to worry in advance about common concerns like Vegetarian or Gluten free diets. It is helpful to know about Vegans in advance (although it’s not a problem to accommodate them), however any allergy issue that’s really severe needs to be discussed in advance as we do prepare all our foods in the same kitchen so we can’t claim our food is “free from” in the way some manufacturers can. DEPOSITS: We only ask for these for a short period of the Christmas party season. DISABLED ACCESS: The nature of our listed building prevents us from providing wheelchair access to the Bistro and Loft. There are wider, modern service stairs (the staff / emergency staircase) that provides easier access for those with limited mobility. 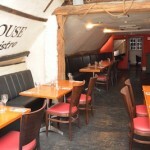 We can convert the Snug (ground floor) into a space for parties (25 max) if required. All toilets (including Disabled) are on the ground floor. SERVICE: We add a 10% discretionary service charge to parties.